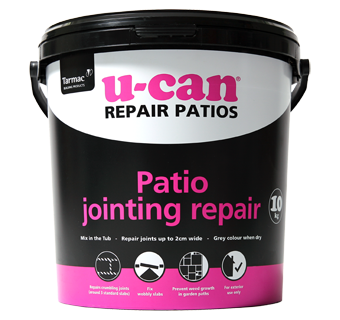 If your patio is starting to look a little worn around the edges, U-Can Patio Jointing Repair is the easy way to restore its good looks with no fuss, no mess and no tools or buckets to clean up afterwards. 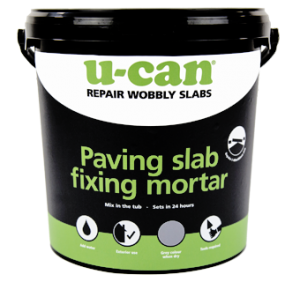 The quick and easy way to fill joints and cracks up to 2cms wide, Patio Jointing Repair can also be used to lay slabs as well. 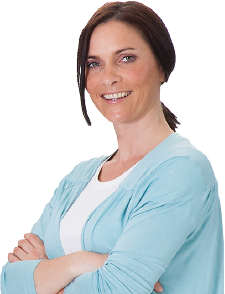 Simply add water to one sachet of Joint Repair and mix until it can be rolled into a ball. 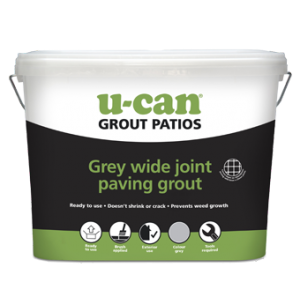 Push into joints, pressing home with a trowel to ensure long lasting, effective bond. 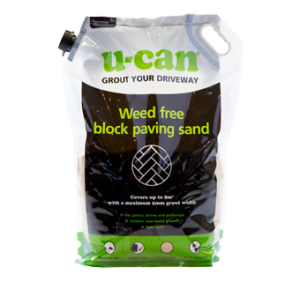 A wobbly or uneven stone doesn’t just spoil the look of your nice neat garden path. It can easily trip and injure the unwary, too.